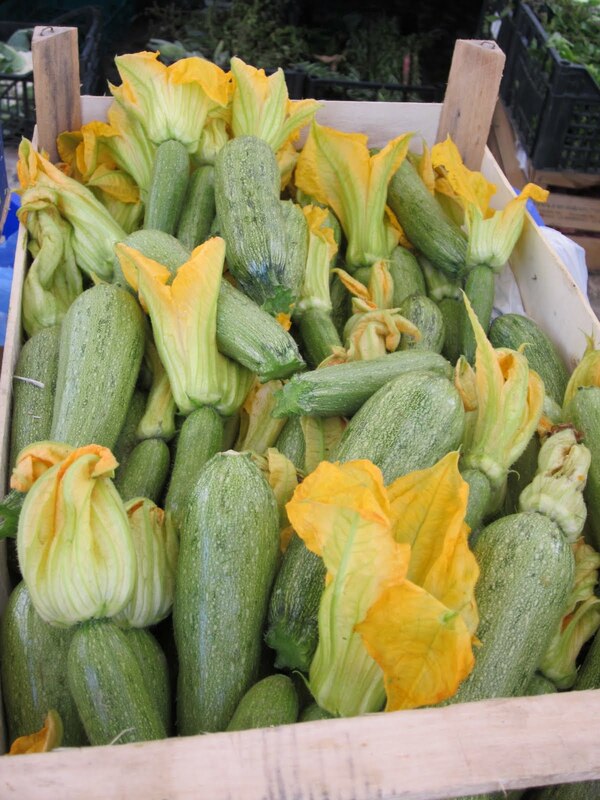 The month of July in Italy means there is an abundance of zucchini. It is everywhere you look ... in the markets, in the gardens, at the grocery stores, at the neighbors, at the grandmas and it eventually finds its way into your fridge. 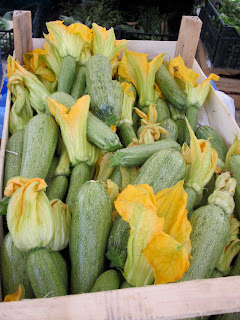 Zucchini grows very well here and when it is ready to harvest there is A LOT to be eaten. People can't give it away fast enough! I have loved being the recipient of the freshest zucchini I have ever tasted and I have loved eating it ... every day! The challenge with so much zucchini is to find creative ways to enjoy it. As you may suspect, developing new zucchini recipes was my favorite task over these past few weeks. 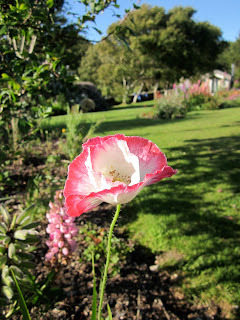 And not only did we come up with some great uses of this vegetable, but the flower is edible as well. I tried to document as many as I could but here is the list of dishes we made with our zucchini. Mexican Burrito stuffed with rice, sauteed zucchini, beans, corn, etc. Vegetarian Lasagne: layers are grilled zucchini, eggplant, spinach, fresh basil, ricotta, mozzarella, homemade tomato sauce and pasta. This one made it to the table twice while I was here. Looking forward to what August has to bring to la tavola! I am back in Italy for the next 3 months and plan to see as much of the north of Italy as possible. 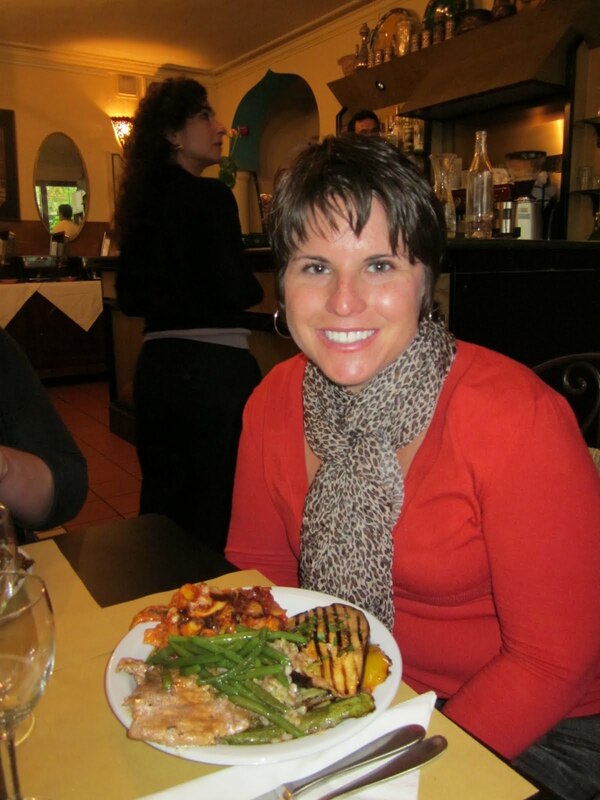 My goal is to experience the cuisine, wine growing regions and culture from the Alps to the Dolomites. My only experience in the north is in Milan and Lake Como so I am really looking forward to discovering the other hidden gems of the north. 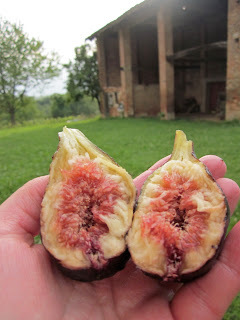 I am at a cascina (large Italian farm house) that has a few acres of land with a vineyard (freisa & barbera grapes), hazelnut trees, walnut trees, figs and other fruit trees and a variety of tasks to do around the house. The hosts are American and Italian. The American is a gal from Colorado and works in the food safety industry! We have had a great time together and enjoyed many evenings of creative cooking with the bounty of fruit and veggies available during the summer. Venturing outside of agriculture and food and beverage for a short time, I will be an Au Pair for a teenage girl. My main duties will be to teach her English, and swimming instruction. I will also be part of the Italian family life and will do activities with the girl such as cooking, hiking, etc. If they go to the mountains or seaside, I will accompany them there as well. Going to Siena for the Palio (!!!! 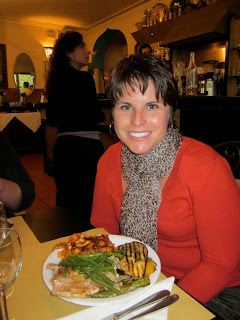 ), exploring Lucca for a day and then will meet up with my sister in the Cinque Terre to enjoy some hiking, pesto and limoncino. This is a small farm located in the Langhe between Bra & Alba, just north of Barolo. 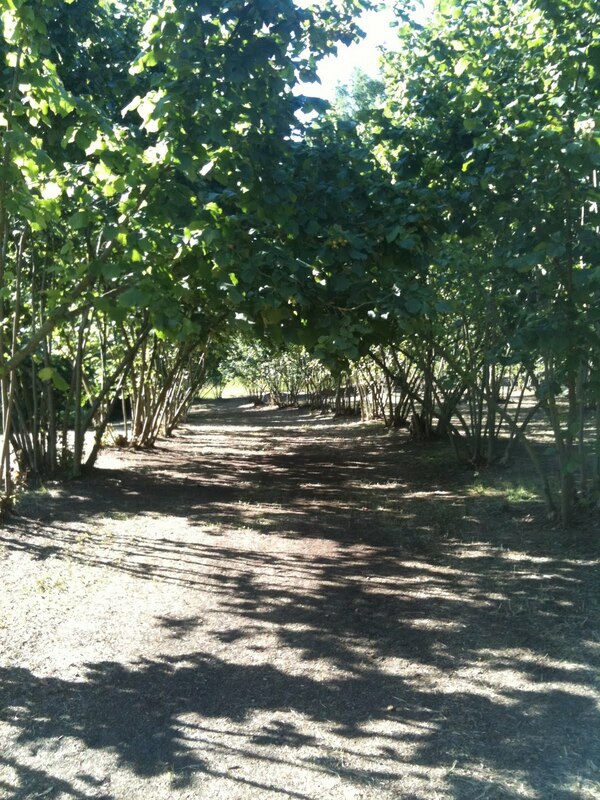 Lauren and I will be WWOOFing together and we will be helping with the hazelnuts, vegetables and fruit. They sell their items in markets in Piedmont and Liguria. They also make bread and biscuits in their wood stove. This is a small chalet in the mountains at the foot of Mont Blanc. Located in the highest part of Italy, they have a fruit and vegetable garden and chickens. I will be staying either in the house or in a studio int he village. Looking forward to seeing the leaves change and taking long walks in the Alps! Small family run farm located in the Oltrepo' Pavese hills. They have a vineyard, other crops and a few farm animals. I will be joining my friend and fellow WWOOFer, Reva, and together we will help with the grape harvest and other agritourism duties. We will also help in the restaurant and guest activities such as trekking with the horses and cheese making! Reva and I will go to the base of the Dolomites in Trento to be with this couple who has an organic vegetable garden, olives and fruit trees. 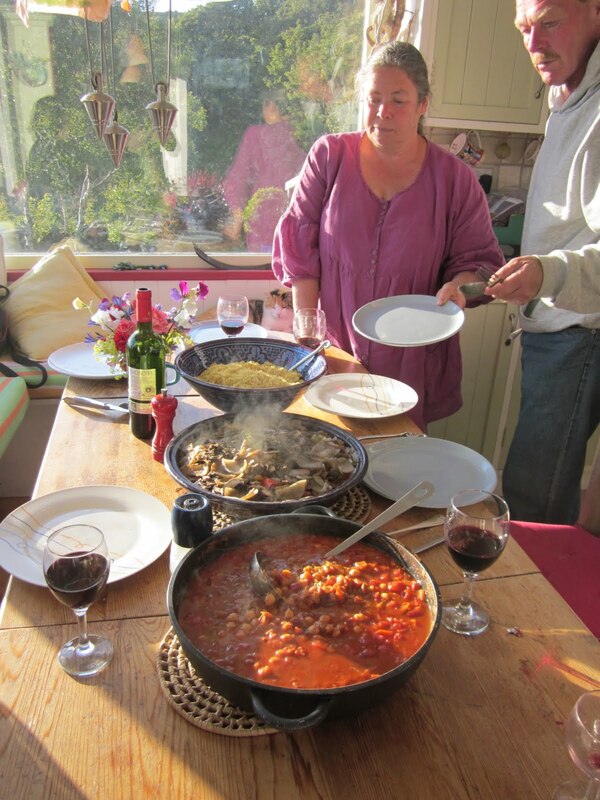 We will be working with preserves, preparing firewood and preparing the olives for harvest. Hoping to do a few excursions to Verona, Bolzano and other great spots in this area. Travel to Florence to fly to Chiappas, Mexico to visit my friend and her kiddos for about a month. Will be sad to leave Italy but plan to return next year to explore Sicily, Sardenia and Marche. Typically "frutti di bosco" refers to fruit (typically berries) commonly found in the forest here in Italy. Think cherries, blackberries, raspberries, strawberries, currants, etc. 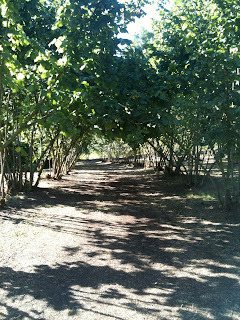 The north is particularly famous for its figs and hazelnuts that are plentiful in the forests that dot the landscape here. Also found underground in the forest here, at the root of trees, are the infamous Piemonte white truffles, but that is a totally different season and blog all together! 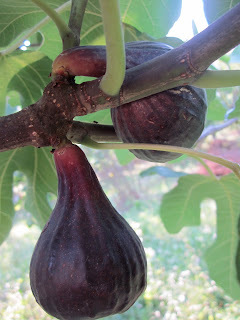 Figs grow on trees (in case you didn't know) and most people in the countryside here in Piemonte (Piedmont) have a fig tree in their yard or many in their gardens and orchards. 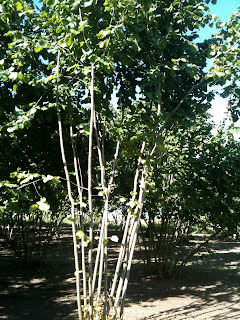 My hosts here in Maretto (Asti province) have a black fig tree, but they are also available in a green variety. Figs are sweet, delicate and delicious! They have lots of pulp, small seeds, and a thin skin. When they are ready to harvest there are a lot of them and everyone is finding ways to preserve them! 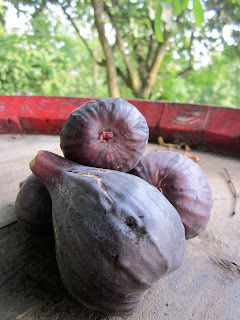 We have made fig jam, fig ice cubes (for cocktails or to add to sauces), fig tart, fresh figs and balsamic vinegar and we are thinking of making fig sorbet. 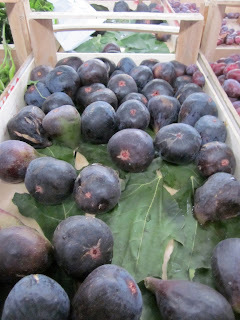 In the markets figs are displayed on their leaves. Here is a photo of the green figs, complete with a few flies, which are everywhere here! The other fruit of the forest in Piemonte is the hazelnut! 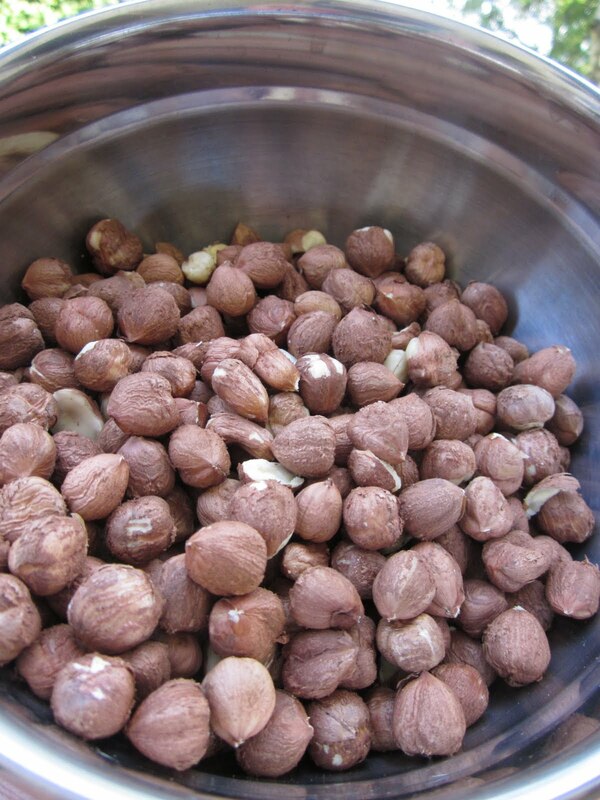 The hazelnuts of the Piemonte region are often sold to Ferro Rocher and Nutella for making their chocolate hazelnut deliciousness. Hazelnut trees have long, thin trunks in clusters and the nuts are located under the leaves. They are picked in the fall and require a lot of work to process (which is why they are so expensive). Here at the Monferatto Farm, there are baskets of hazelnuts that always need cracking. One hot afternoon I decided to tackle a basket, with a "Hell Bier" in hand and a nut cracker in the other. 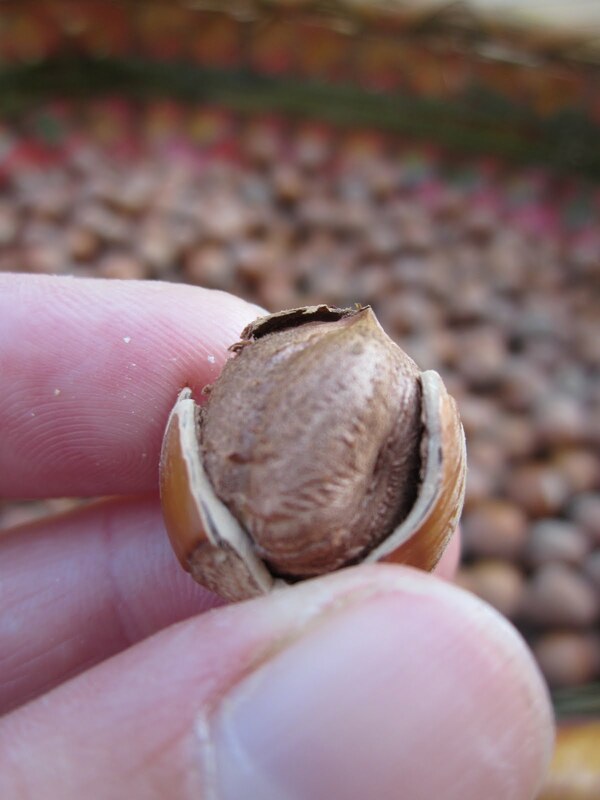 The nut has a soft, papery, fuzzy coating on it. Doesn't make too many nuts and the process takes a while. Final step is roasting them off in the oven for approximately 15 minutes and then removing the outer coating. I have loved helping at the Heron Gallery Cafe in Ahakista, Ireland. The Heron Gallery Cafe is a beautiful organic oasis on the Sheep's Head Peninsula. 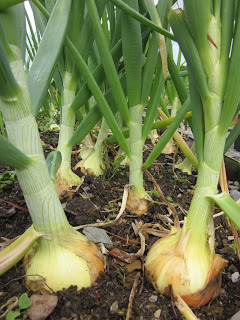 They grow most of the vegetables and herbs that are used in the cafe. Pictured below are a few of the raised beds that have onions, kale, spinach, lettuce, celery, fennel, herbs, and other yummy greens. This is one of the many herb boxes located on the property. Annabel uses a seaweed mixture to fertilize the soil. It works really well as you can see the size of the sage and parsley leaves are huge! All of the ingredients at the Heron Gallery Cafe are gorgeous both in presentation as well as in peak flavor and high quality. As you know, starting with purely delicious ingredients can only yield wonderful end results. Also of note... all of the ingredients used in the Heron Gallery Cafe are organic and fair trade. 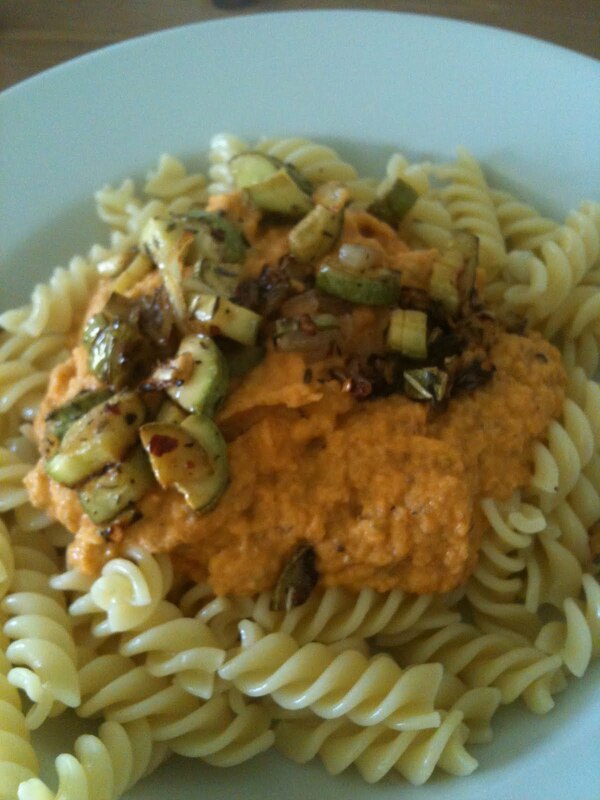 I'd love to share a few of the recipes we use here so you can enjoy them too! Glaze: Juice from 2 of the lemons and add sugar to taste. Heat until combined and then cool before pouring on cake. 1. Preheat oven to 145C (300F). 2. Grease a 24 inch spring-form pan with melted butter. 3. 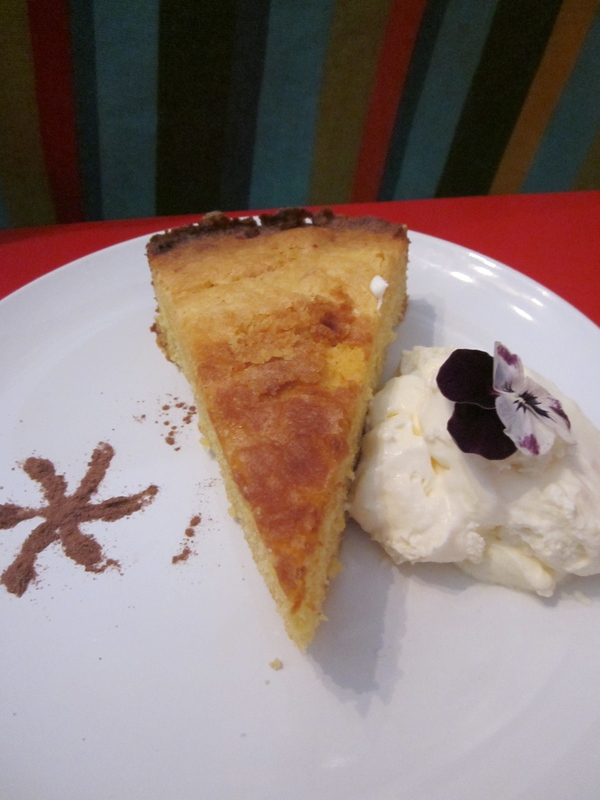 Combine almonds, polenta, baking powder, lemon rind and juice from one lemon in a bowl. 4. In a separate bowl, beat together butter and sugar until light and fluffy. 6. Fold in dry ingredients until just combined. 7. Bake for 50 minutes- 1 hour. 8. Cool slightly and then prick cake with a fork and pour on cooled glaze. 3. Add in the dry ingredients, carrot and pineapple and beat together. 4. Grease a bundt pan. 1. 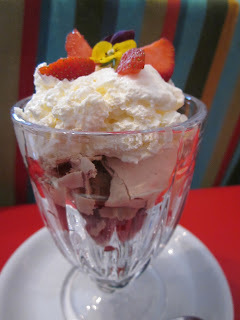 Cream all ingredients together- whip until white and creamy. 2. Put in fridge and spoon over cake when cooled. 1. Brush the sides of a 8-9 inch spring-form pan with melted butter and sprinkle the bottom with ground almonds. 2. Melt chocolate, sugar, salt and butter over low heat until just melted- be careful not to burn it! 3. Whisk eggs and almonds until frothy. 4. Slowly and gently fold egg mixture into the chocolate. 5. Bake at 160 C (325F) for 35-45 minutes. 6. Cool on wire rack and remove from spring-form pan. 1. Preheat oven to 110C (225F)- low heat oven! 4. Slowly add brown sugar and keep whipping. 5. Spoon onto parchment paper and bake for approximately 40 minutes- 1 hour. 6. When fully cooked they will come up easily. If not, return to oven for another 10 minutes. Cool and serve with fresh strawberries or peaches and whipped cream! For another variation, you could also macerate the strawberries in balsamic vinegar or orange zest/juice. 1. Combine all ingredients in food processor and grind together. 4. Fry in vegetable oil for 8 minutes or until golden brown on each side. 5. Serve with Thai Sweet Chili Sauce and a lemon or lime wedge. 3. Cook 2 minutes and turn off! 4. Ladle hot soup in bowl, top with parmesan cheese and add a dollop of pesto. This potato salad is so fresh, herbal and delicious that you will want to make it all year long! The potatoes are just coming into season here and the skins are so thin and delicate that it makes the salad that much more special. I picked the potatoes in the morning and made the salad right away. Talk about "farm to the table"! 1. Wash and quarter potatoes. 2. Steam potatoes until just cooked. 4. Mix all other ingredients to taste and coat cooled potatoes. This "no-fail" pastry dough is so versatile! 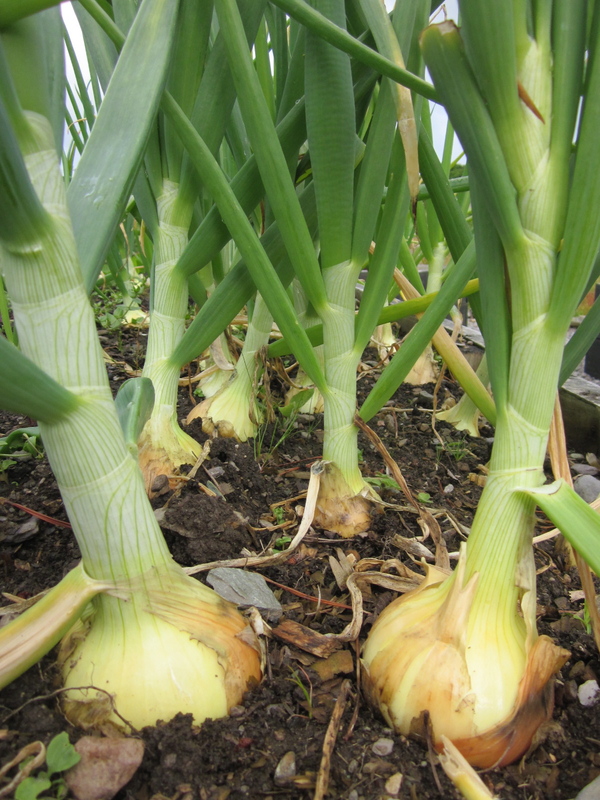 We use it for our quiche, pasties and onion tart. Here you can see it as the shell for our caramelized onion and goat cheese tart with black olives and sage. Yum! 1. Pulse all ingredients except for water in food processor until combined like bread crumbs. 2. Add water slowly and mix. 3. Once sticky and pulling from the sides, remove and squish together on the table. 4. Roll it out to desired thickness and shape and use for a savory or sweet preparation of your choice! You will need to bake it off for approximately 15 minutes before you fill it. This is called "blind baking". 1. Heat oil and saute onions and peppers for 5 min, stir well until onions start to soften. 3. Add saffron to warmed stock and then add to pan with apricots, chickpeas, orange zest & juice and tomato paste. 4. Bring to a boil and simmer until liquid reduces down. 5. Finish on the oven for about 20 minutes until the sauce is thickened. 6. When ready to serve add cilantro and yogurt. I hope you will be able to use these recipes and enjoy a little flavor from the Heron Gallery. 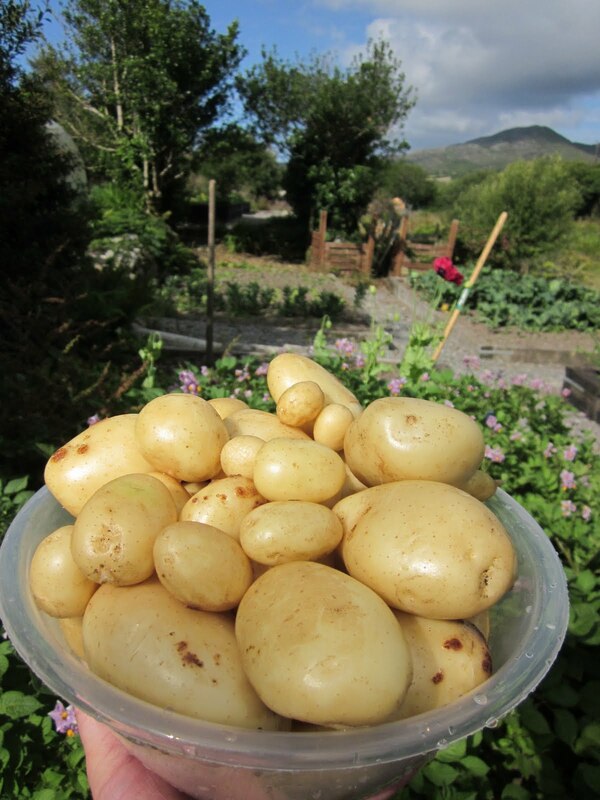 And if possible, try to use the freshest vegetables possible- buy local, organic and in season! One must be very selective when packing a bag that will be carried for an entire year, through all seasons, and across various countries and climates. Being "selective" takes on a whole new meaning when the bag will contain items needed for playing in the dirt on farms, presenting oneself well at a potential job interview, having what is needed to comfortably tour around cities, as well as relaxing wear for days in. Selecting items that will stand up in snow, sun, wind, rain, cold and extreme heat is difficult, though not impossible. I started mentally packing for this trip 4-6 months before I left. I physically packed the bag 2 months prior to leaving. They say to pack what you think you will need and then take out 1/3 of it. Instead, I used the rule that an item could only stay in the bag if it had 3 uses. For clothing, I packed mostly black or dark colors ... for 3 reasons. #1: All could be washed in one single load of laundry without worry of running colors. #2. Black doesn't show dirt. #3. Black is slimming and everything matches. In retrospect, I wish I would have packed a few more patterned and colored items because I am getting tired of the same black stuff. But it has been very practical! Here is my list of items that made the cut, and their 3+ uses. Scarf- Keeps your neck warm (duh), Head wrap, Shoulder wrap, Small towel, Belt. Dark color and wrinkle-free fabric is best. I love my black one, go figure. Gloves- Keeps hands warm and dry, Used for lifting objects with rough edges and keeping hands safe, Provides extra grip. I came with 3 pairs of gloves (different styles) and have acquired 2 more along the way and I have used every pair. Gloves are important. Head Band- Small piece that makes big difference when growing out your hair! No styling needed, allows you to see what you are doing, helps with kitchen hair cleanliness, Adds a bit of style to your otherwise boring black outfit, Allows you to not wash your hair for another day! Tweezers- Eyebrows, Splinters, Jewelry tool, etc. Travel Towel- A MUST! For hostel showers, small blanket, Hand towel, and many of the "sarong" reasons too. Leggings- To wear when layering, sleeping, running, lounging, doing all other laundry, under dresses/skirts when colder out. These are essential! Tank Tops- For layering, can be worn in hot and cold climates, for sleeping, for work that will make clothes dirty, can be thrown away and replaced easily for not much money. Note pad- You just need one! To write down directions, new words, things to do, sites to see, contact info, etc... All kept in one place and on you so no WIFI is needed. Rain Coat- Windbreaker, Extra Layer, Rain Coat, Can sub for umbrella. Ear Plugs/Eye Shade- Seriously valuable little pieces! Ear plugs are wonderful as you never know what kinds of environments you will be in and how loud people will be. Eye shades are great for summer months in countries where the sun rises early and/or you are in rooms with poor shades or other people and you just want darkness. Sunglasses- Protects eyes from the sun (duh), wind, and can be "safety" glasses in the field. Ear Buds- You can listen to what you want (as loud as you want) without disturbing anyone, Good for Skype chats, Rosetta Stone programs, etc. Plaid Long Sleeve Shirt- Love this one! Good for an extra (light) layer, Rain protection, Sun protection, Can layer with other colors, Gives a pattern to mix it up, etc... really useful! You will see me wearing it in MANY of my photos. Colored Sweater- Nice outfit for bopping around town, going out, good for all day and night out wear, gives color to the wardrobe.